Iron Man 2 wasn’t my favorite Marvel movie, but it brought in $312 million, only $6 million less than the first one, so someone liked it. 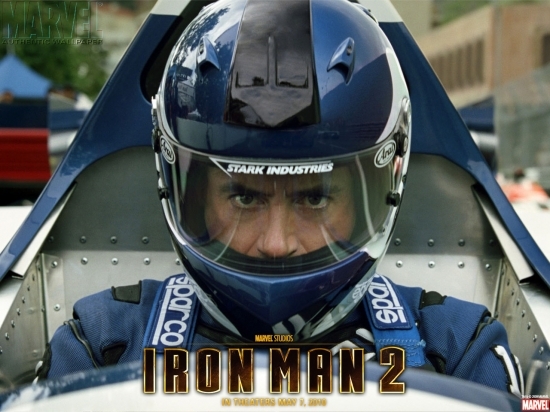 In Iron Man 2, Tony Stark is under pressure from the government to divulge the secrets to his flying suit of armor. He is resistant, because he fears the information will fall into the wrong hands. Meanwhile, a Russian scientist, Ivan Vanko, wants revenge on Stark for sins of Tony’s father against his own father. Vanko builds a suit that has electrified whips on both hands, which earns him the name Whiplash. Pepper Potts and James “Rhodey” Rhodes stand by Tony. Plus, we lay eyes on Black Widow for the first time; she was sent by Nick Fury to watch over Tony. Iron Man 2 was good, but it suffered from Tony’s egotistic tendencies. He’s know for his brash arrogance, but there’s so much of it for so long at the beginning of the movie that you’re almost rooting for someone to take him down. I get it; director Jon Favreau had to build Tony up high in order for him to fall fast and hard. (Tony seems to be learning the same lessons over and over again.) Thank goodness Robert Downey, Jr. is such as charismatic actor. He manages to draw you in even when you’d rather give up on his ego-maniacal Stark. Sam Rockwell is outstanding, as usual, as Tony’s competitor. He does smarmy like no one else. The other main villain, Whiplash, is too cartoonish to be taken seriously. The final showdown comes off as ridiculous, because not enough time is spent building up to it. Vanko’s inventions were more frightening than he was. Mickey Rourke is menacing enough as Ivan Vanko, but man, it’s hard to get past his looks. I know that’s superficial, but he’s had more plastic surgery than most of the actresses in Hollywood. Regardless, he makes it work for him. I should mention that you might be confused when you see Colonel Rhodes. 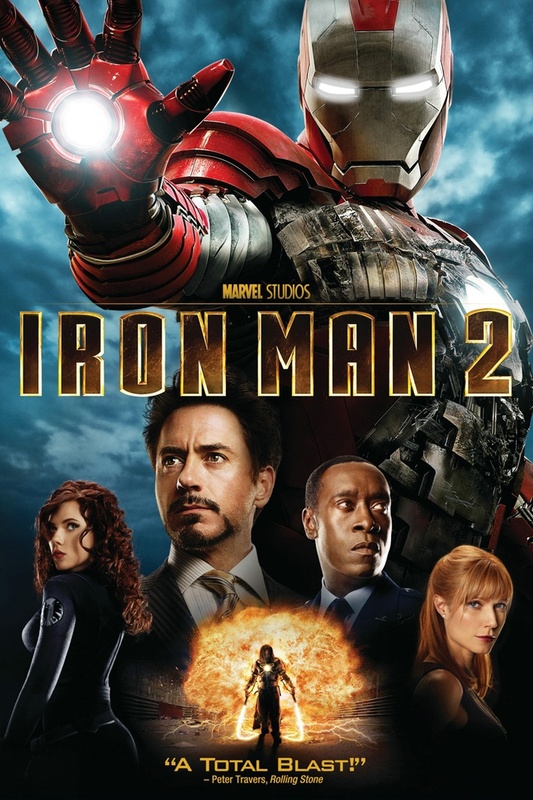 In Iron Man 2, and beyond, he’s played by Don Cheadle. Originally, in Iron Man, Terrence Howard played Tony’s military friend. He was fired after the first movie. Marvel didn’t say much about the switch, only that after seeing the film, they decided to go a different way. Howard was very unhappy at the time. Frankly, Cheadle is much more effective as the voice of Tony’s conscience. Howard came off as meek in the wake of Downey’s performance; he couldn’t hold his own. Cheadle brings a confidence and a fire that’s a much better match for Downey’s Stark. Here’s what critics had to say.